Know someone who loves the Disney Moana Movie? Chances are that they would love this Disney Moana of Oceania Adventure Doll that we found on sale on Amazon! You can get the Disney Moana of Oceania Adventure Doll today for only $8.99 from Amazon! The regular price is $14.99, so save 40%. Get FREE shipping (2-day for Amazon Prime members) when you purchase $25 or more of eligible items across any product category. 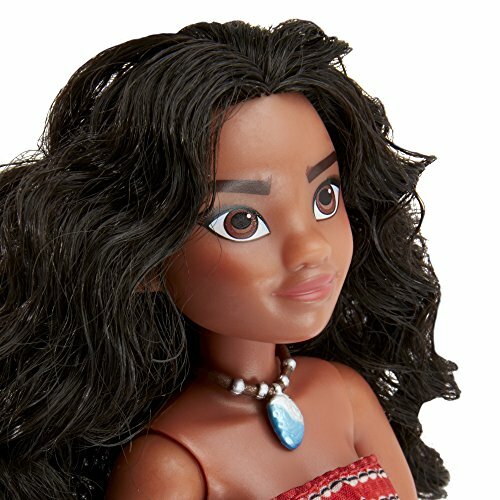 Get the Disney Moana of Oceania Adventure Doll details below. Meet Moana of Oceania, a vibrant, tenacious, and compassionate 16-year-old who sets sail on an unimaginable adventure to save the people of Motonui and find the answers she’s been searching for her whole life. Dressed in her movie-inspired outfit, the Disney Moana of Oceania Adventure Doll has 10 different articulation points for action-ready poses and lots of fun-filled adventures! Includes a removable outfit and necklace. Copyright Disney Hasbro and all related terms are trademarks of Hasbro. Buy the Disney Moana of Oceania Adventure Doll at Amazon. Previous articleLEGO Friends Heartlake Summer Pool – Price Drop!